Refer below to learn more about Yu-Gi-Oh! BAM's Gameplay and Battle Play Features. 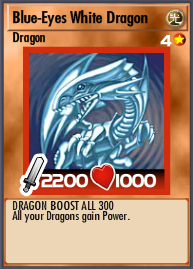 Join the online social dueling app which builds on the best features of the original Yu-Gi-Oh! Enter the Yu-Gi-Oh! universe with the fast and fun spin-off game Yu-Gi-Oh! BAM. Intuitive rules and an addictive gameplay make it easy to progress through the levels, but it will take strategy, skill and luck to become a true BAM master. 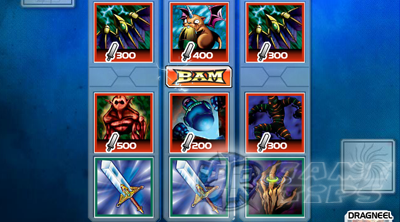 deck from over 300 specially adapted cards, collect rewards and duel opponents of all abilities. Whether you have two minutes or two hours to play, just hit BAM! 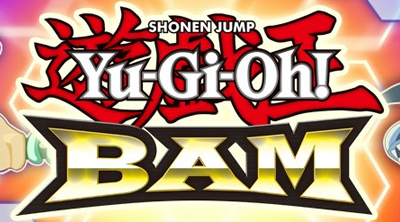 - A unique new game that features the original Yu-Gi-Oh!. - Explore an exclusive story line. - Build a Deck from over 300 specially adapted cards. 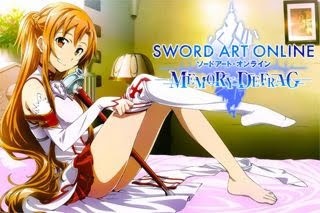 - Collect rewards and duel opponents of all abilities. properties and more, well this time it will be a little different! 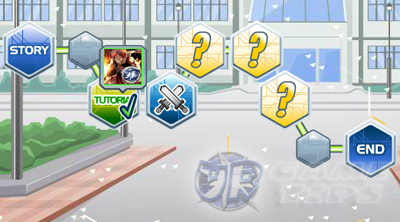 art and some game features will be the same but they now have their own new rules, properties, attributes and more. Yu-Gi-Oh! gameplay. 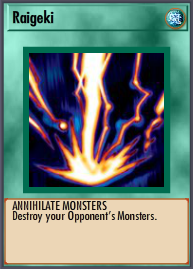 To win the duel, your goal is to try and decrease your Opponent’s Life Points to 0 using the Monsters and the Spells at your disposal! of the game. Follow Yugi's instructions to advance through the game. Good luck!